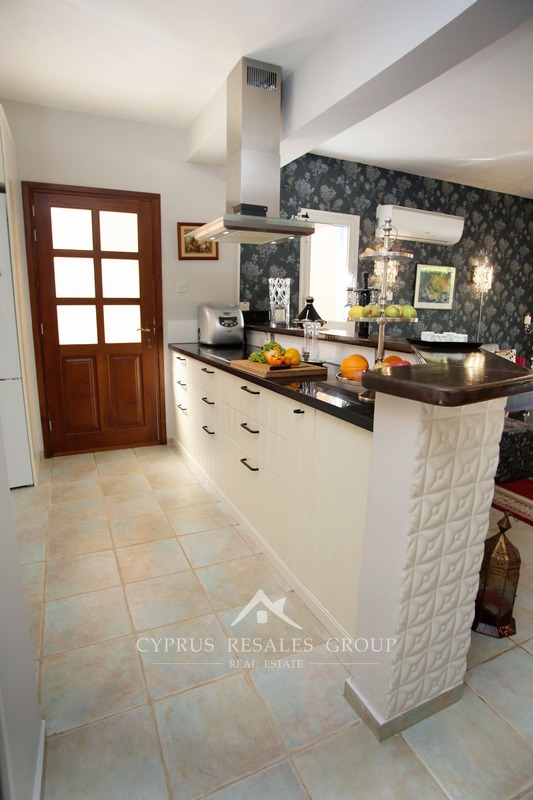 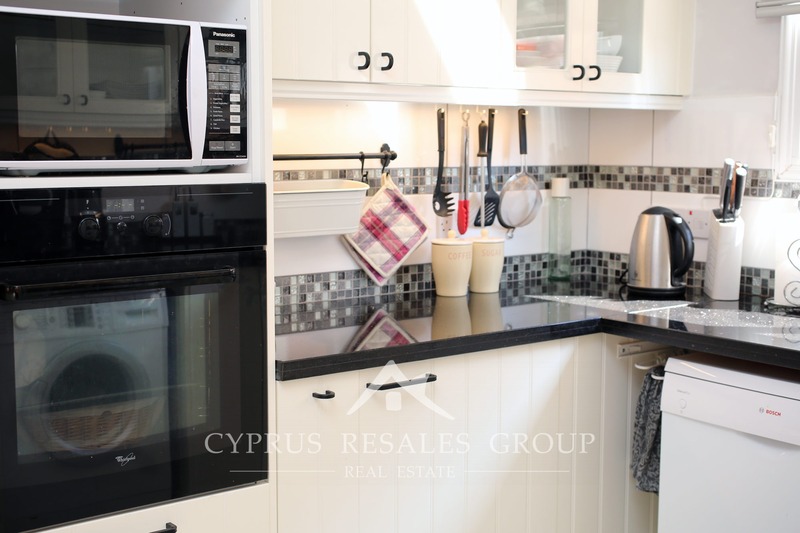 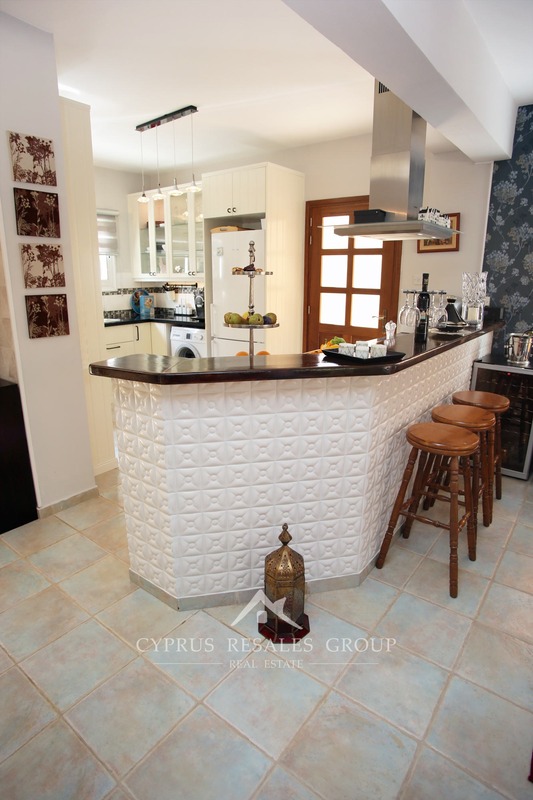 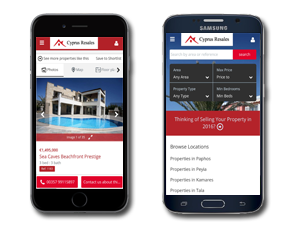 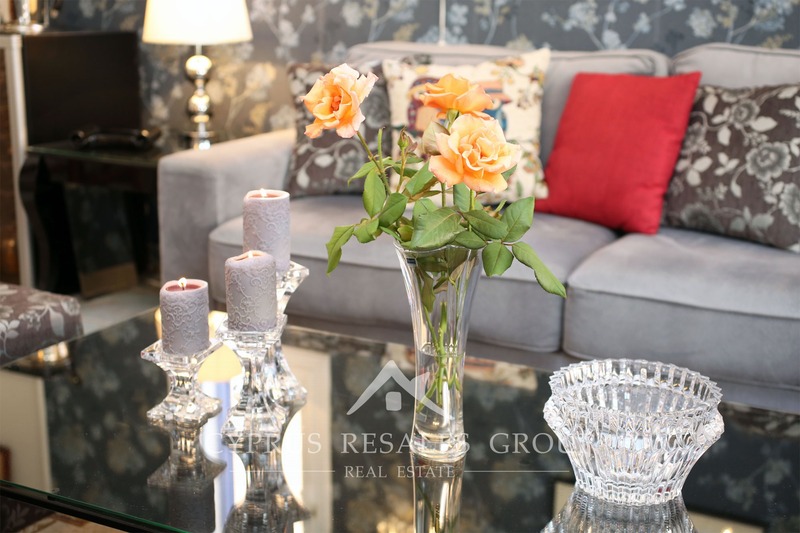 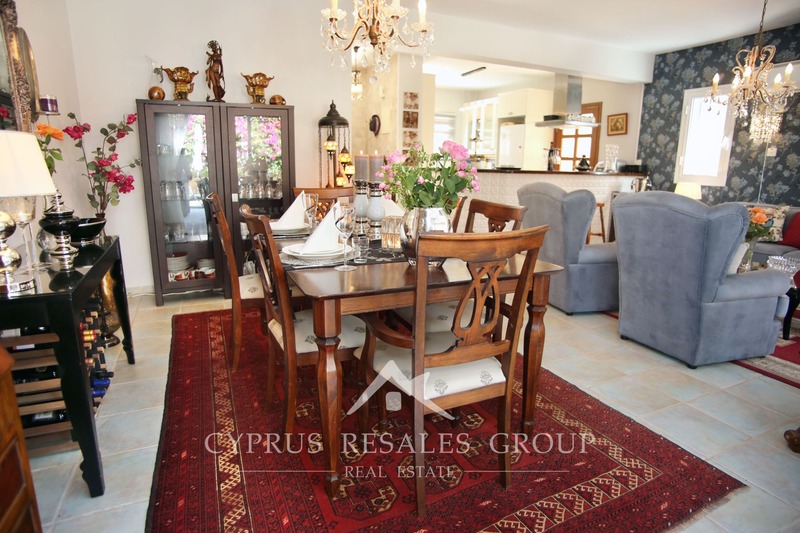 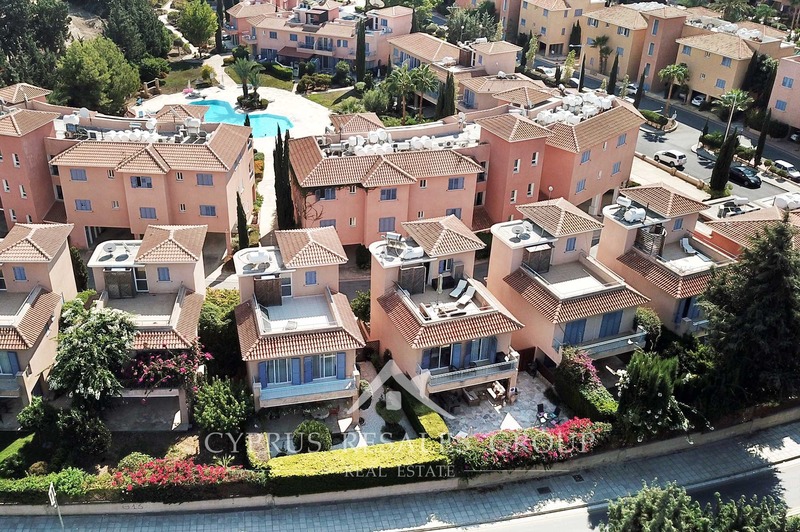 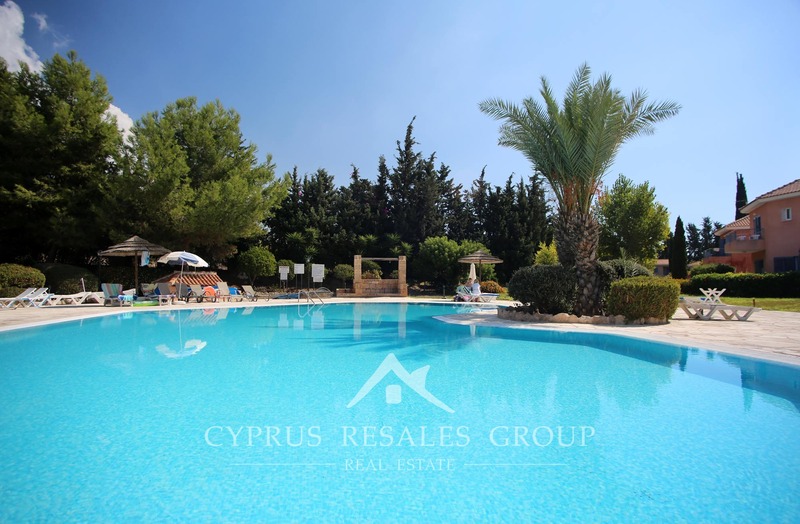 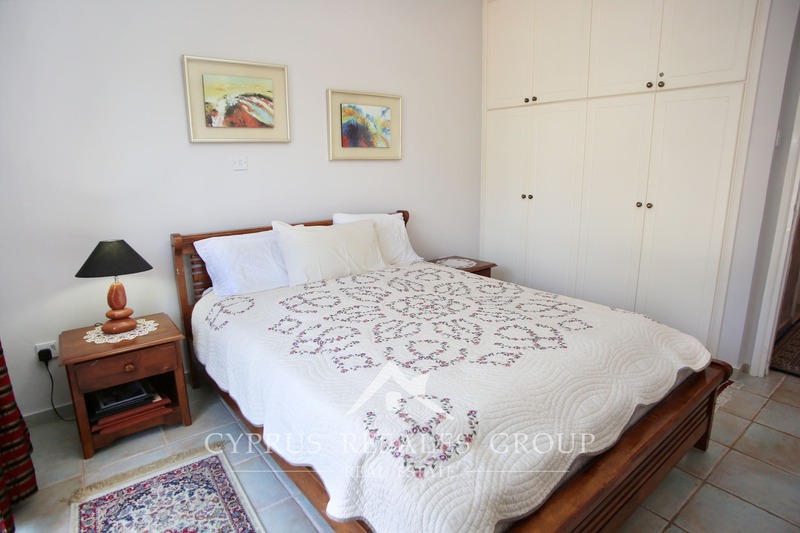 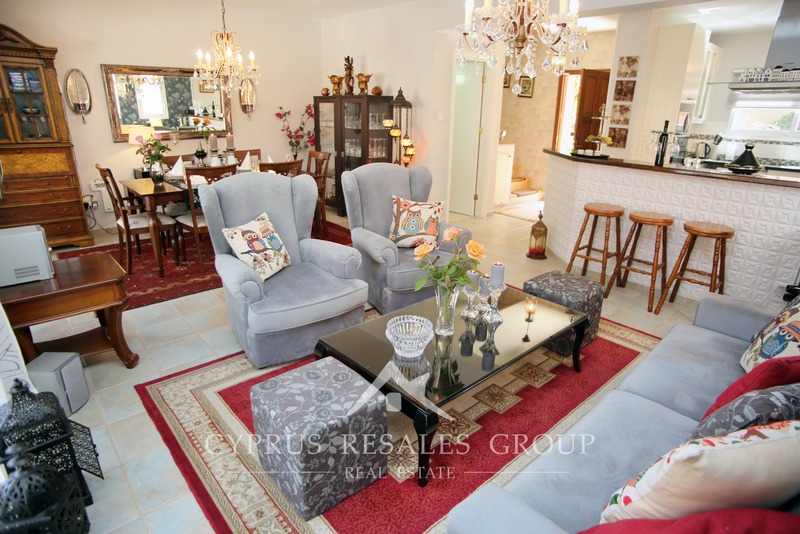 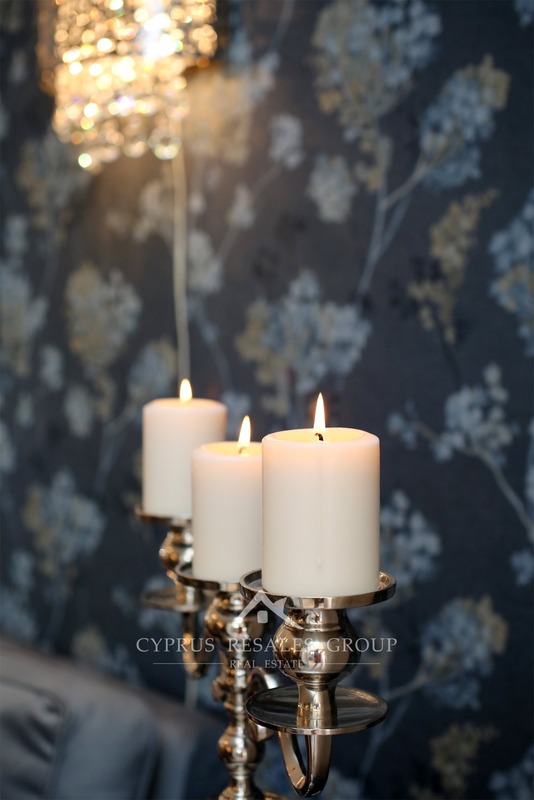 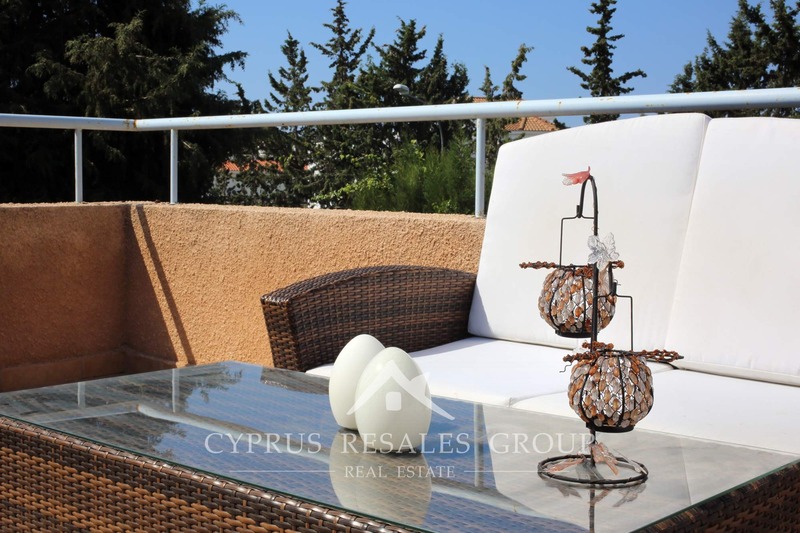 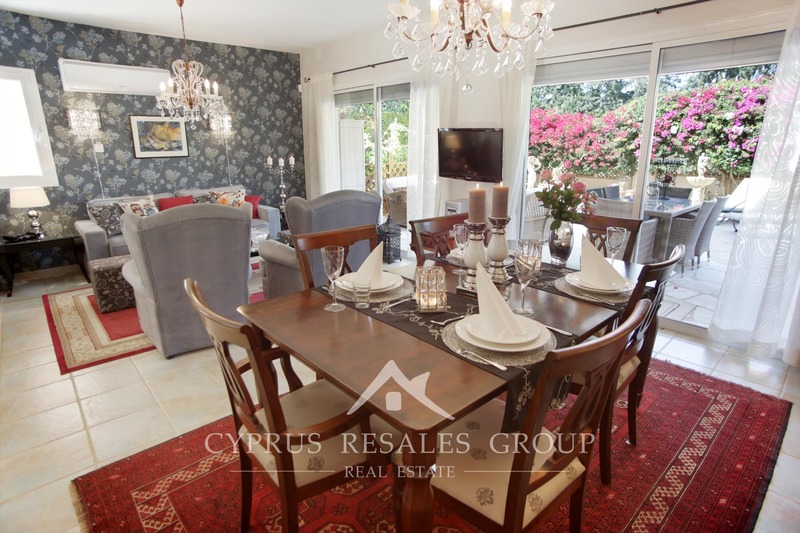 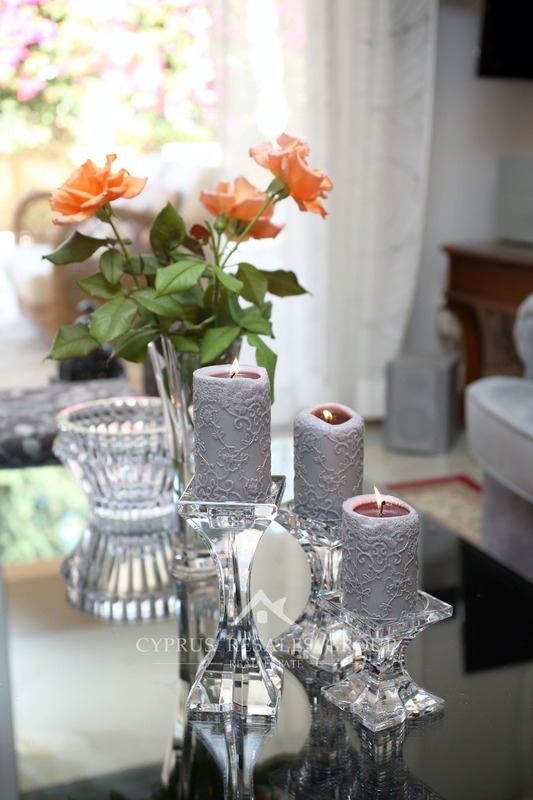 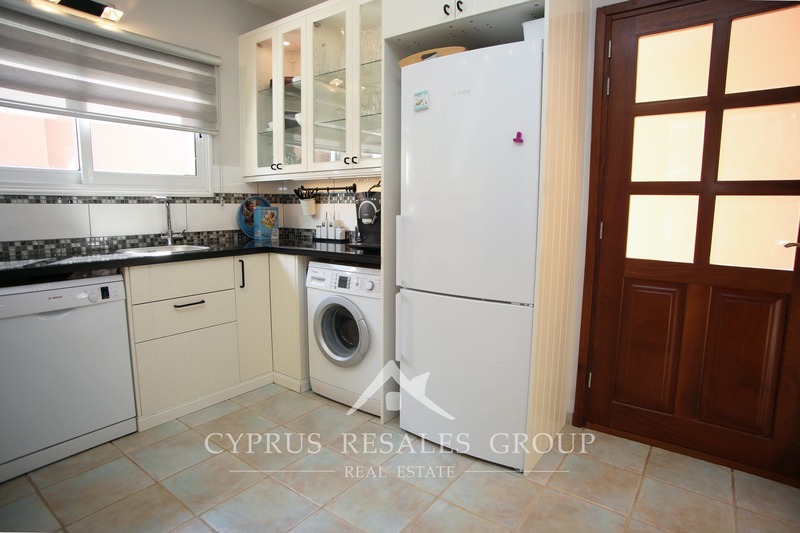 Property for sale in Limnaria Villas | 4 Bedroom Detached villa in Leptos Estates Limnaria Villas next to Limnaria Gardens, Paphos, Cyprus. 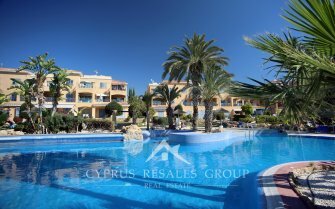 Exclusive project Limnaria Villas has unrivalled reputations for both quality and location and it’s easy to see why. 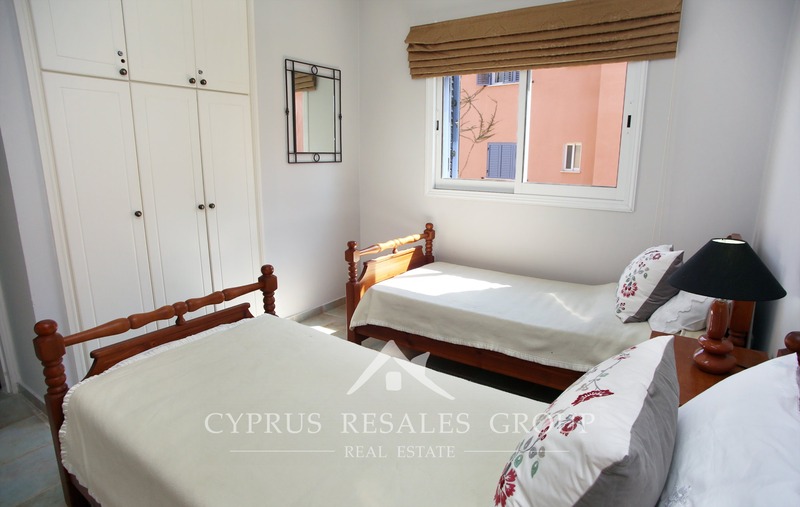 Only 400 meters from the vibrant cosmopolitan area of Poseidonos Ave. – Limnaria Villas and Limnaria Gardens are a short walk to the sea front of either the traditional Harbour area or the municipal sandy beaches next to Alexander the Great Hotel. 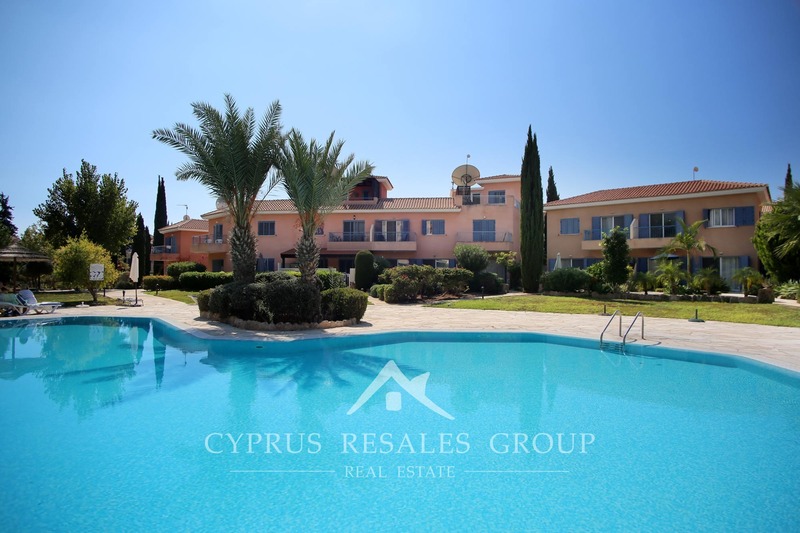 Limnaria Villas built by Leptos Estates in 2005, follows their outstandingly successful design philosophy of beautifully executed buildings located around feature overflow swimming pool and surrounded by lush landscape Mediterranean Gardens. 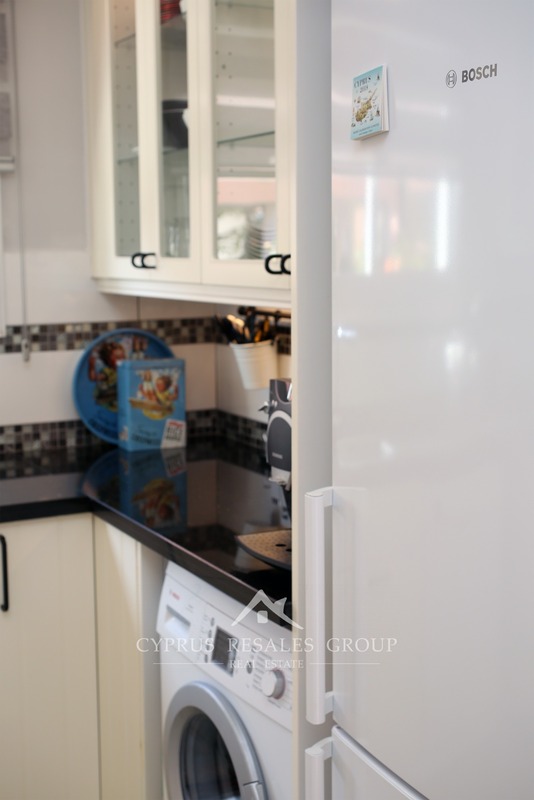 This 4 bedroom Limnaria Villa is one of the best in the entire project with a great private outdoor space and in showroom condition both inside and out. 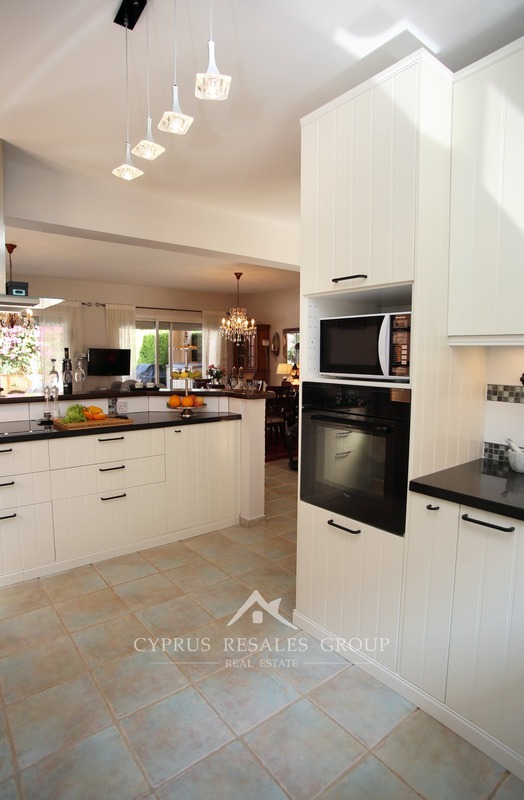 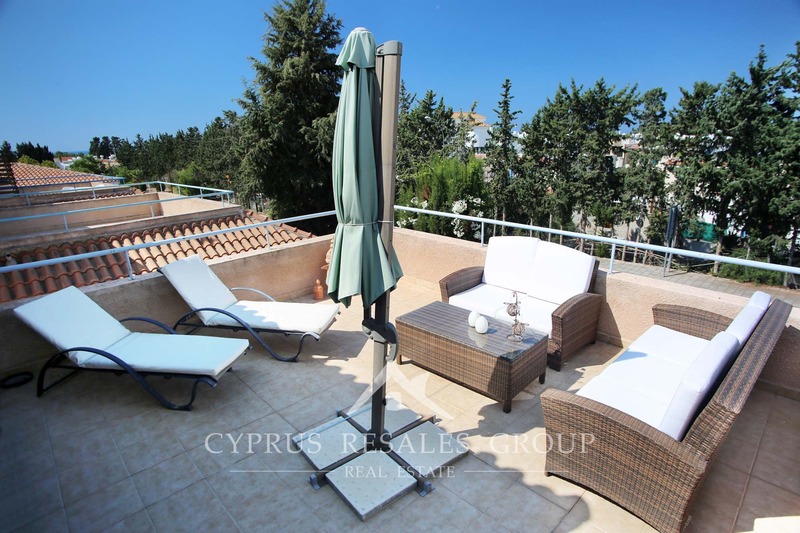 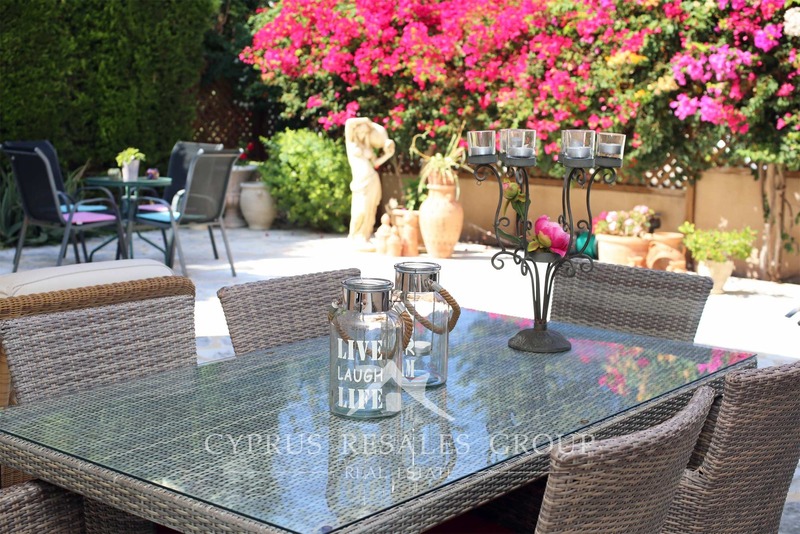 Positioned over 3 floors with a separate roof garden, this villa provides the ultimate family accommodation in the very centre of Kato Paphos. 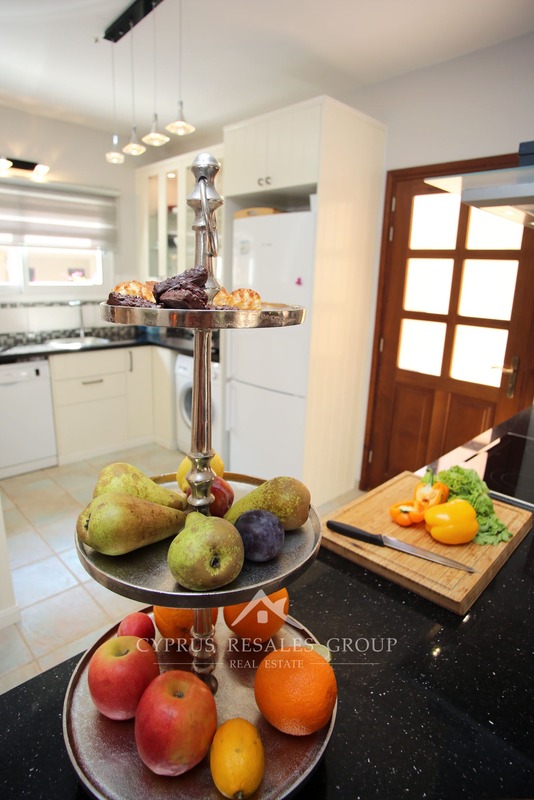 On entry, the entire ground floor is beautifully proportioned with the newly refurbished breakfasting kitchen flowing into the open plan living room and dining area. 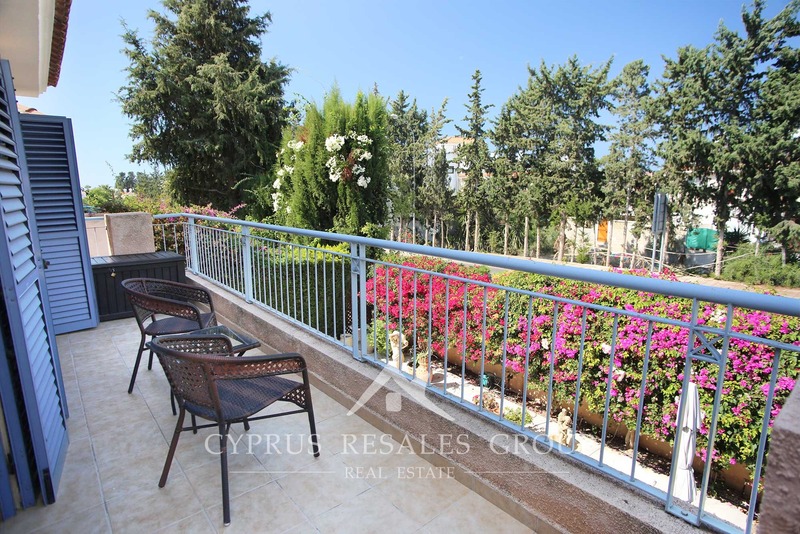 Patio doors lead to a large covered veranda and private walled gardens. 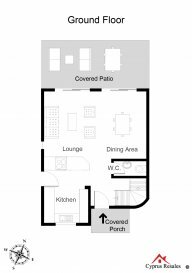 A WC is also located on this floor. 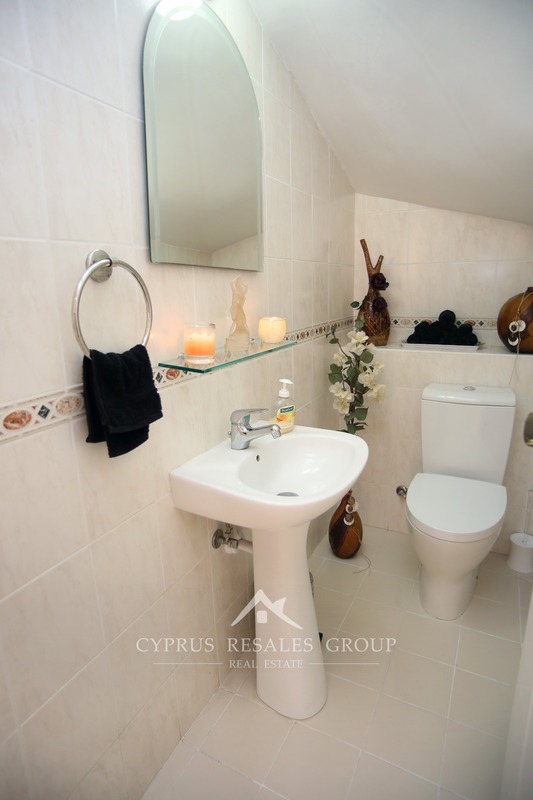 The second floor has 3 double bedrooms all with ample fitted wardrobes, and the master bedroom benefiting from an en-suite bathroom. 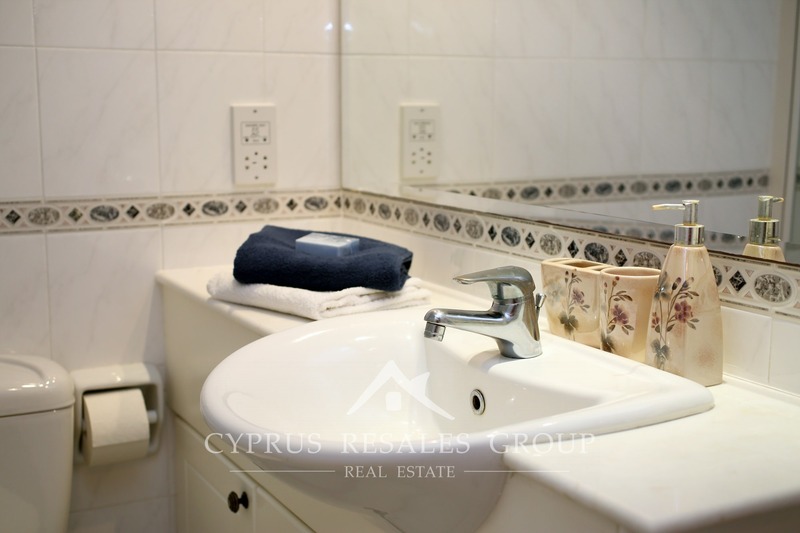 A full-size family bathroom is shared between the other 2 bedrooms. 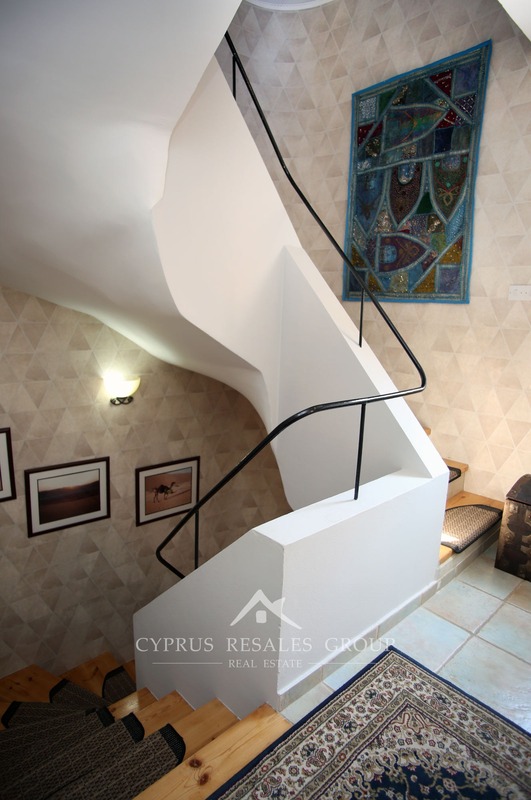 Limnaria Villas is a special development and this is a special property – up the stairs to the 3rd floor, there is a large room providing flexible options as a 4th bedroom, cinema room or second living room. 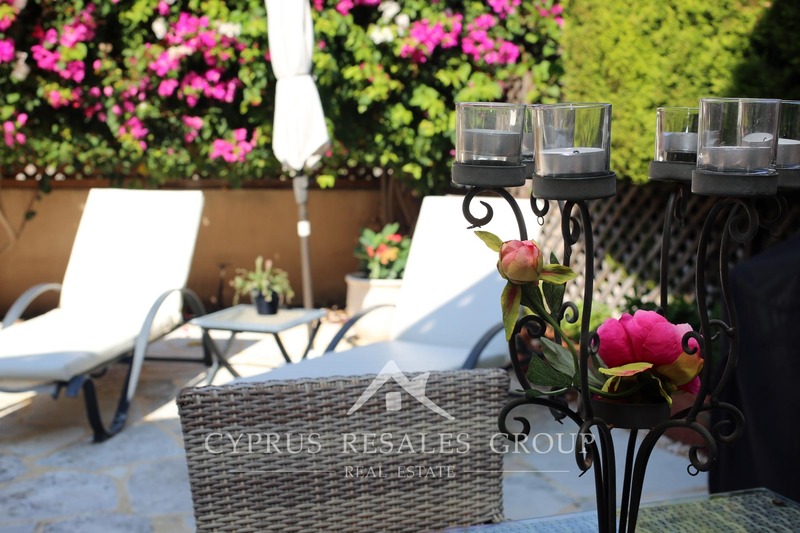 An adjacent roof garden provides even more outdoor options for BBQs and entertaining guests, families and friends. 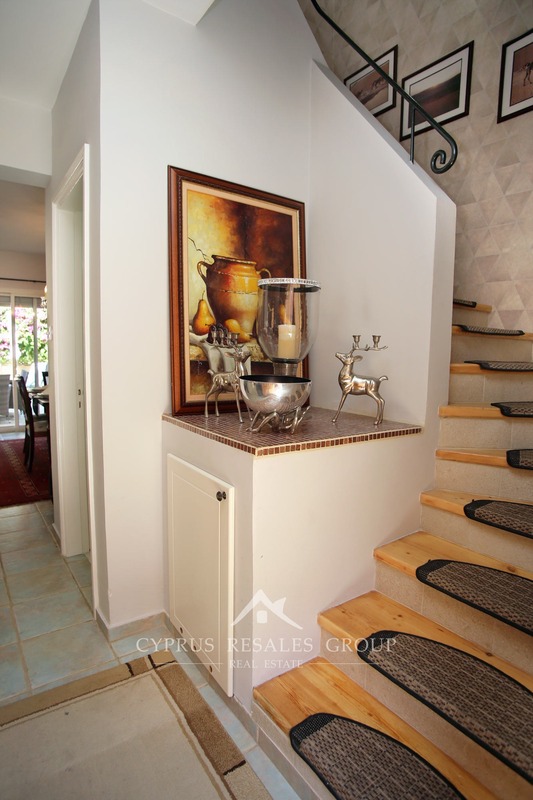 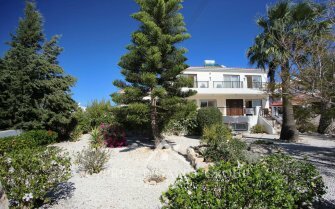 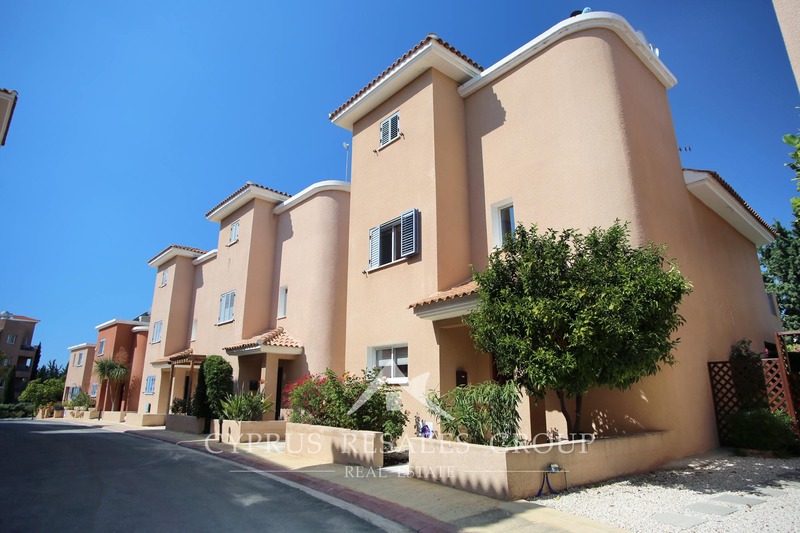 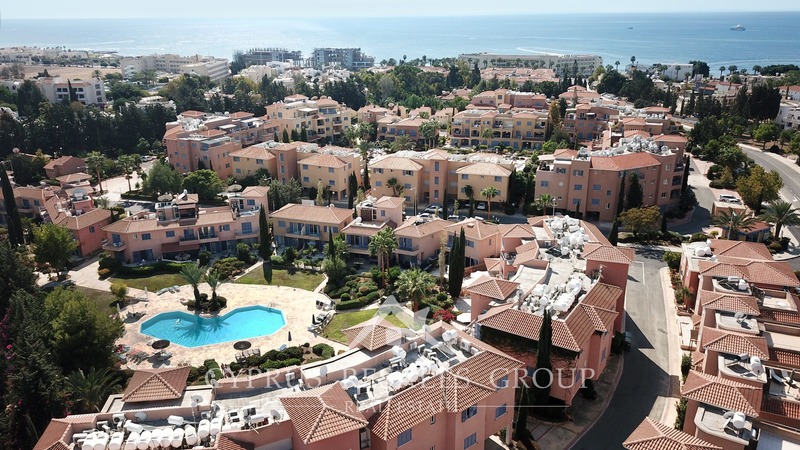 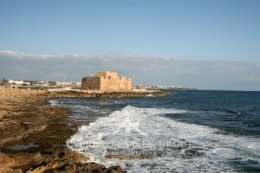 A rare opportunity indeed to buy a detached villa in the top development of Kato Paphos. 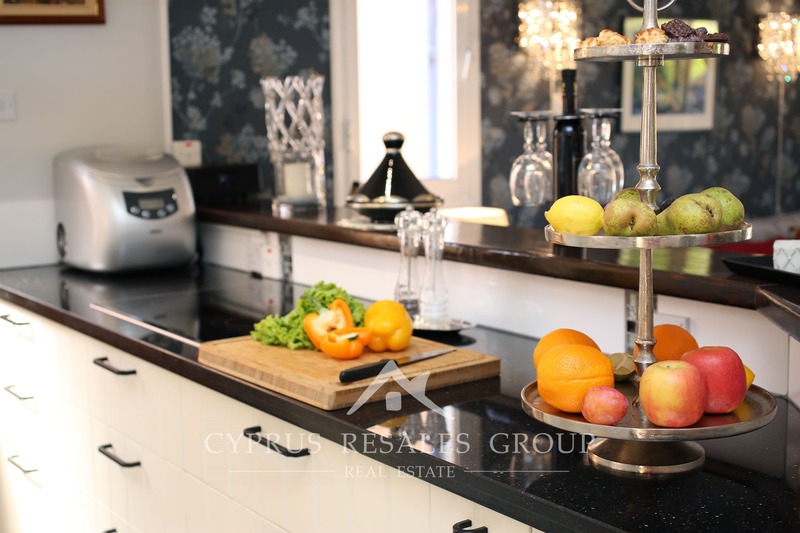 Full title deeds, superb location and limited availability will ensure the longevity of your investment. 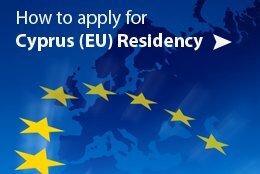 Yearly Common Fees: €1200 approx.